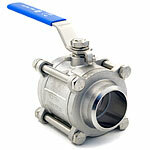 JF&WR Industri AB ball Valves have a “floating ball”, i.e. the ball rests between two elastic seats and can move only in the longitudinal direction of the valve. 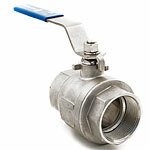 Accordingly pressure in the pipes contributes to the tightness of the valve all the time. Precompressed seats provide similar sealing at low pressures. 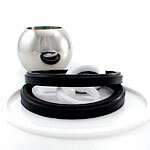 Few movable parts and suitable material minimise the wear, resulting in long life. 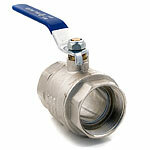 The valves have a circular straightthrough passage giving minimal flow resistance. Small sizes require little space, and low weight facilitates installation. Operation is effected by use of a lever and 90° turn between open and closed position. Pneumatic, hydraulic and electric actuator can be fitted. 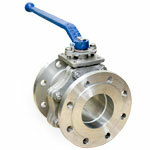 We provide a renovation kit for all our Ballvalves.